Continuing the puff theme, today’s stitch is a zig-zag variation. It’s easier than boxed puff and it looks nicer too. This one I’ll keep in my arsenal of stitches. A quick word about the yarn I’m using: I don’t think I’m making my life easier by using DMC Natura cotton. In fact, it’s awful yarn. It splits really easily, but if you hook a strand out by mistake it doesn’t work it’s way back into the yarn so readily. I’m using this yarn because I don’t like it, and these swatches will probably end up in the bottom of a bag somewhere until I finally throw them out. I think that it would be easier if I used one of the cheap acrylic yarns I bought. But I’m too particular to switch yarns now I’ve started the month. Plus I have no idea what else I would do with this godforsaken yarn. What can I say, other than don’t buy it. 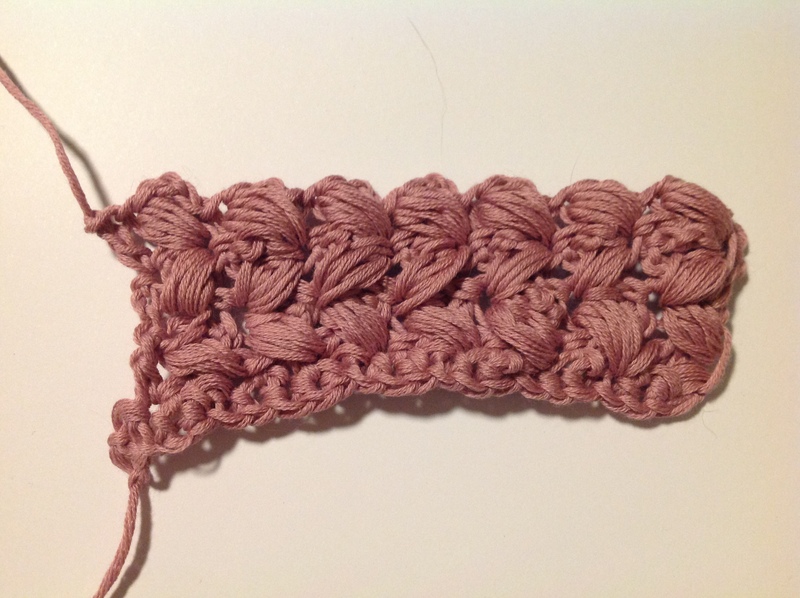 Below is a video for the zig-zag puff, and a reminder of how to do a single crochet foundation row.